Chris Ritter studied with George Grosz and was an important figure in the New York Postwar Avant-Garde scene. He also opened the Laurel Gallery in New York and published a series of print portfolios, beginning with one of five etchings by Milton Avery. In 1947, he offered a show of paintings to Grace Borgenicht. 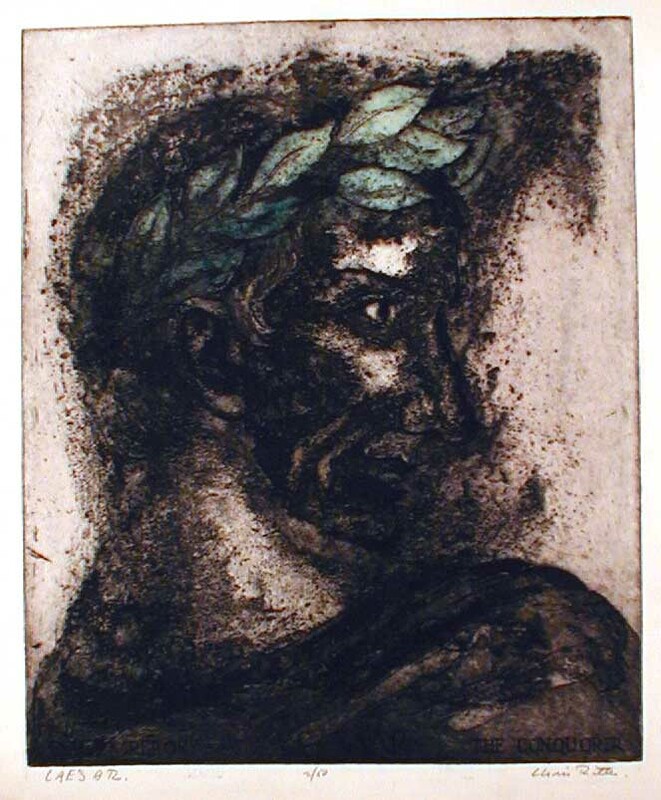 When he decided to close Laurel in 1950, he urged her to open her own gallery, which she did, representing such artists as Gabor Peterdi, Jimmy Ernst, Leonard Baskin, Wolf Kahn, and Ilya Bolotowsky, who were also working out of the same set of postwar, post surrealist, aesthetic assumptions. Like View Magazine, with which he seems to have been in some way associated, Ritter's work and his gallery explored the Surrealist sensibility transplanted from Europe and given new life as it came into contact with popular culture in the United States. Chris Ritter's work is represented in the Smithsonian Archives of American Art, the Worcester Art Museum, the Brooklyn Art Museum, the British Museum, the Whitney Museum of American Art, the NY Public Library, and the Library of Congress. He also exhibited at the Chicago Art Institute. 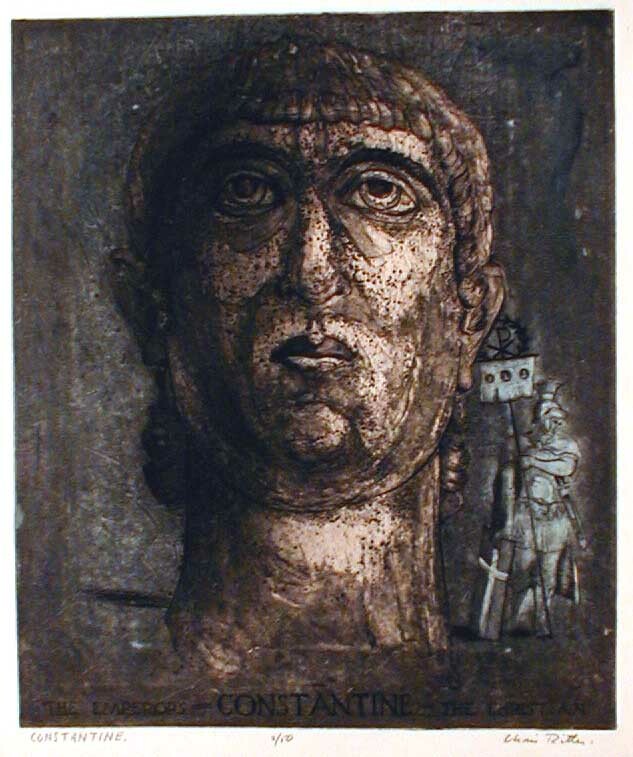 During his life, he was listed in Who's Who in American Art; after his death, he is listed in Who Was Who in American Art. Ritter is a minor but still important figure whom we think ripe for rediscovery. 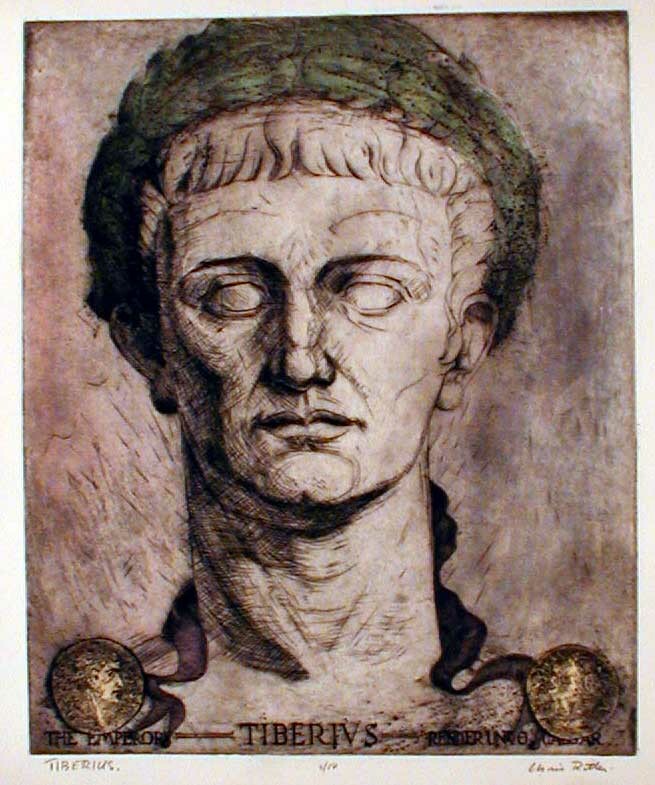 Tiberius. Original color etching and aquatint, c. 1950. 50 signed and numbered impressions. 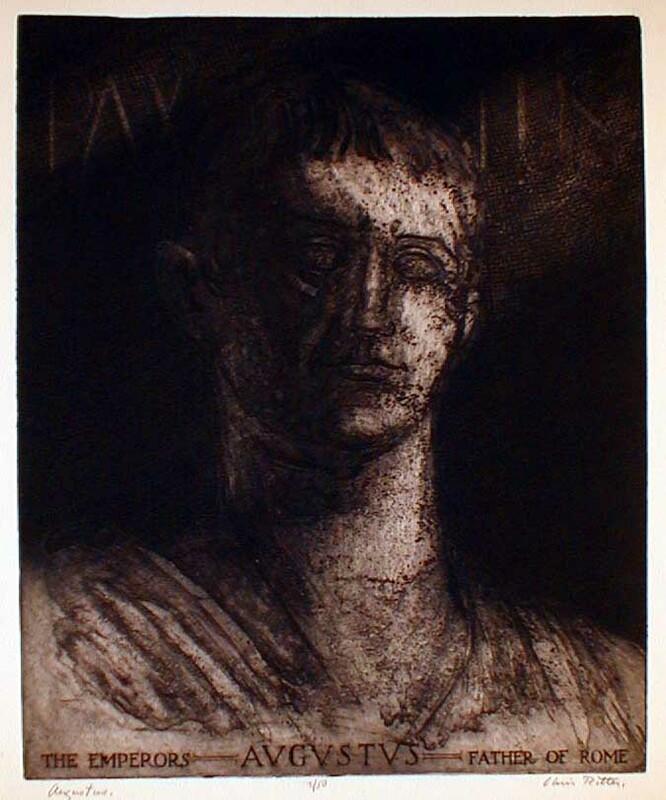 Published as part of a series of six pieces on the Roman Emperors. Image size: 448x376mm. Price: SOLD. Nero. Original color etching and aquatint, c. 1950. 50 signed and numbered impressions. 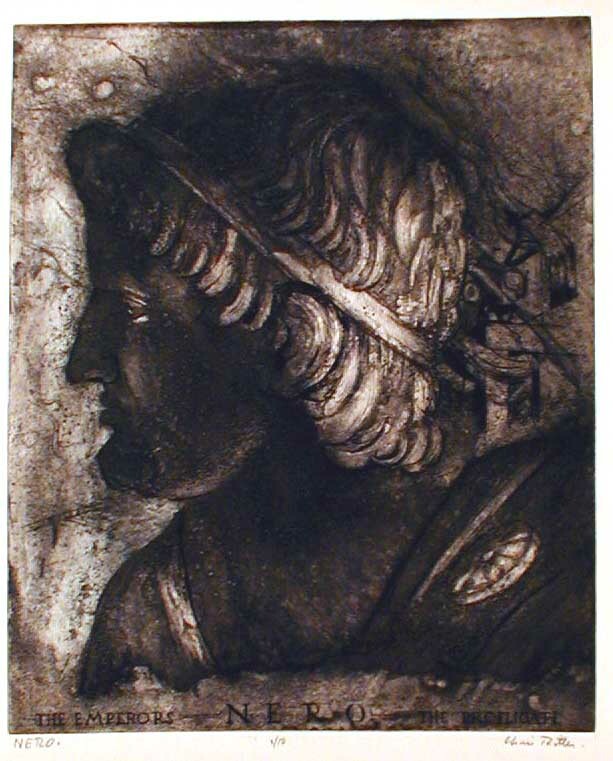 Published as part of a series of six pieces on the Roman Emperors. Image size: 448x376mm. Price:SOLD.